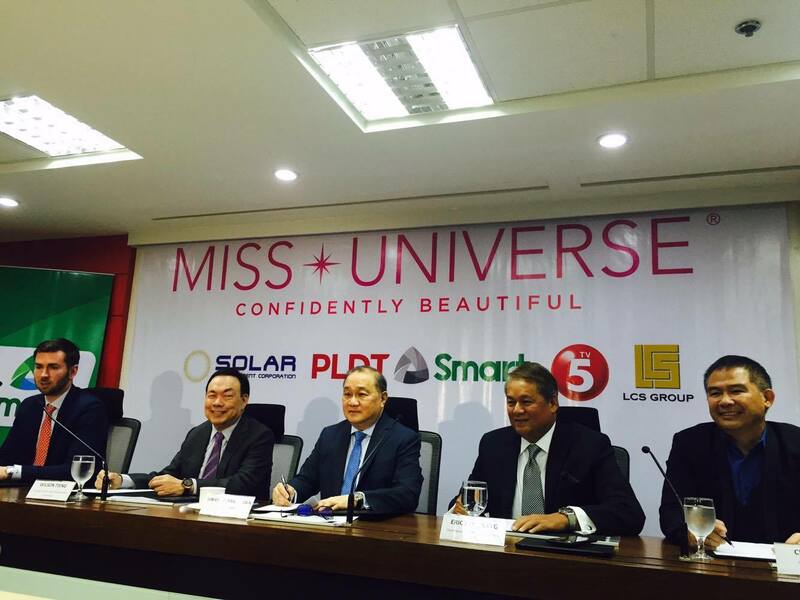 "With Miss Universe crown currently in our homeland, the enthusiasm for and connection of Filipinos to the global pageant is now stronger than ever," said PLDT Chairman Manny V. Pangilinan. "With the combined reach of PLDT, Smart and TV5, we are providing our countrymen more ways to enjoy the pageant. We are giving them exclusive access to behind-the-scenes and key events such as the very popular swimsuit and long gown competitions, and of course, real-time viewing of the much-awaited coronation night. With our robust network capabilities and the largest consumer base of over 75 million Filipinos, millions of fans can watch the pageant events via multiple platforms, whether on TV, laptop or mobile- whenever they want, wherever they want. For years, we have been revolutionizing the way entertainment is consumed in the nation, offering our subscribers an extensive entertainment portfolio featuring top digital entertainment partners. 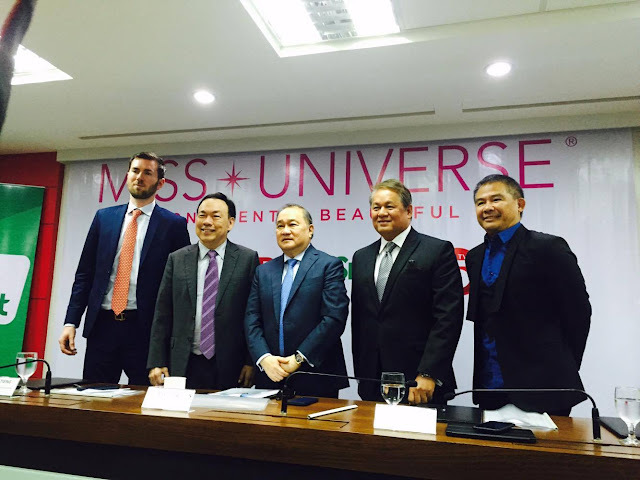 Miss Universe is one platform we would not miss out on." 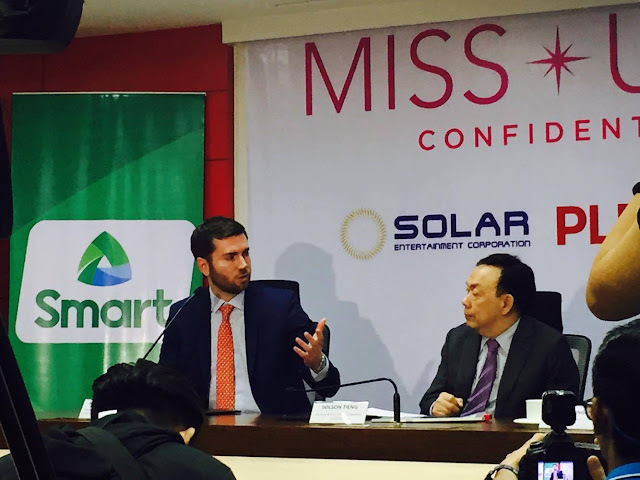 Shawn McClain of the Miss Universe Organization says that aside from the beauty pageant, it will also highlight the cultural and beauty of the Philippines thru its various activities and pre-pageant contests. He also said that audience should expect a lot of surprises in this year's pageant as they will highlight the diversity of the Philippines. Shown in the photo are (L to R): Shawn McClain of Miss Universe Organization, Wilson Tieng of Solar Entertainment, Manny Pangilinan of PLDT, Eric Alberto of PLDT and Smart, and Chot Reyes of TV5.